Teaches and writes about typography, design, and visual culture. 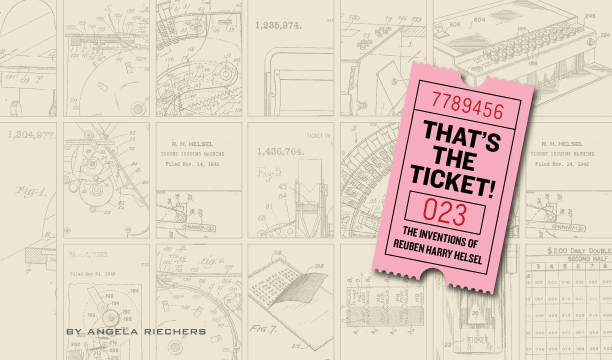 I wrote and designed this book about my great-grandfather Reuben Harry Helsel, an inventor who held more than 45 patents for ticketing devices. He invented the Takacheck machine which dispenses numbered tickets to customers at bakeries, delis, and anyplace where order must be maintained, and the Daily Double machine still in use at racetracks around the country. The book's format has the same aspect ratio as a Takacheck ticket. A modified version of the text was published on Design Observer.